Sean is a father of four, a youth soccer coach, an expert chess player, and in his spare time he is involved in various city projects. As a third generation Angeleno, Sean has lived in the Westside his entire life and takes great pride in seeing his community thrive. 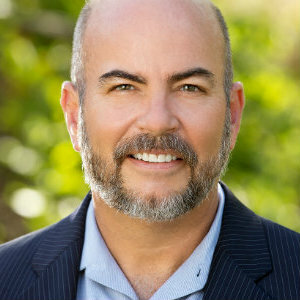 With over 25 years of experience, Sean has developed a reputation as one of the most knowledgeable agents on the Westside of Los Angeles. Sean’s greatest strength is his ability to strategize. With over a thousand real estate transactions to his credit, he approaches every deal in layers working through the multiple opportunities and obstacles to help his clients reach their goals. A former chess master, Sean sees every communication from the buyer’s and the seller’s position. It is this vision and a commitment to the philosophy of “win/win or no deal” that guides him to anticipate and alleviate a lot of the stress and the tension that can develop during even the simplest real estate transaction. A rare commodity, Sean is a third generation native Los Angeleno who grew up on the Westside, surfed in Venice, played chess in Santa Monica. This full-of-life experience provides him with an intimate understanding of the community and the neighborhood. He began a real estate career in 1985 following in the footsteps of his father and his uncle who were both industry stalwarts on the Westside of Los Angeles. Since then, Sean has forged his own path. With over 25 years experience in home sales, title insurance, mortgage brokering he has a reputation for maintaining the highest standards of integrity, and market knowledge. When it comes to transactions on the Westside, Sean provides clients with a level of interpretation of the available data that is unmatched by competitors. He has the ability to put the most complex transactions together, keep them on track and follow them through to completion. Sean is good with statistics and great with numbers, but where he truly excels is with people. He is certainly competitive but compassionate, fair and caring to ensure that the relationships he makes in business are as profitable as the escrows he closes. Sean and his wife Jill are active in their neighborhood & community, also in their church and children’s schools, raising two daughters and two sons in the very same neighborhood where he grew up. He views his love of art as an opportunity to create beauty in the lives of all of his clients. Courtesy of Heyler Realty, Sean McMillan - CA DRE#01147016 Selling Office: Compass. Courtesy of Heyler Realty, Jae Wu - CA DRE#01207394 Selling Office: Heyler Realty. Courtesy of Heyler Realty, Jae Wu - CA DRE#01207394 Selling Office: Douglas Elliman of California, Inc.. Courtesy of Heyler Realty, Jae Wu - CA DRE#01207394 Selling Office: Compass. Courtesy of Heyler Realty, Jae Wu - CA DRE#01207394 Selling Office: NonMember OfficeDefault. Courtesy of Heyler Realty, Jae Wu - CA DRE#01207394 Selling Office: Dream Homes in LA. Courtesy of Heyler Realty, Jae Wu - CA DRE#01207394 Selling Office: Pacific Realty Investments. Courtesy of Heyler Realty, Sean McMillan - CA DRE#01147016 Selling Office: Berkshire Hathaway HomeServices California. Courtesy of Heyler Realty, Sean McMillan - CA DRE#01147016 Selling Office: Keller Williams-Santa Monica. Courtesy of Heyler Realty, Jae Wu - CA DRE#01207394 Selling Office: Coldwell Banker Residential Brokerage. Courtesy of Heyler Realty, Jae Wu - CA DRE#01207394 Selling Office: The Agency. Courtesy of Heyler Realty, Sean McMillan - CA DRE#01147016 Selling Office: Rodeo Realty - Beverly Hills.